In Japan, the arrival of the spring season is often accompanied with a picturesque scenery: People gathering under the sakura blossoms, enjoying delicious bento and sake, with the soft touch of sakura petals carried by the spring breeze. The incomparable experience is not exclusive to Japan, though – in Hotel New Otani Chang Fu Gong on Beijing’s Second Ring Road, you may enjoy the beauty of cherry blossoms with delicacies that can only be more exquisite. 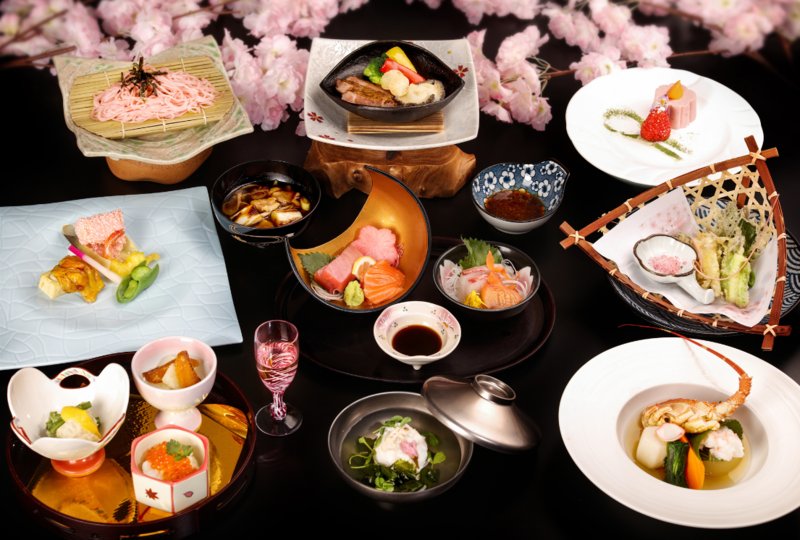 From April 1 to May 15, the hotel is presenting its customers with a spring special sakura-themed cuisine. Known for its scrupulous Japanese management style, Hotel New Otani Chang Fu Gong boasts a full range of restaurants, including Mudan Garden Chinese Restaurant, Sakura Japanese Restaurant, Matsukaze Teppanyaki Restaurant, The Grill Western Restaurant, Orchard Terrace Coffee Shop, and Zijin Pavilion Restaurant. They spread over the first and second floors of the hotel, circling around the unique southern Chinese style garden in Beijing, where four royal yaezakura trees are built. While enjoying their meals, customers may appreciate the view of the gorgeous eight-layered cherry blossoms against the background of Chinese-style landscape. 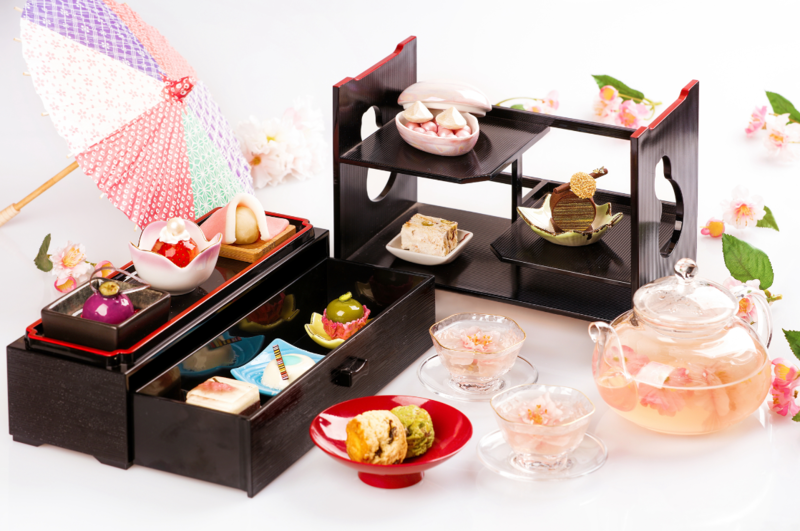 Chang Fu Gong chefs create sakura-themed meal sets, using sakura and other seasonal fruits and vegetables as ingredients. The restaurants have also prepared special seats with the best sakura view in Beijing. By doing so, the hotel wishes to bring every customer an immersive taste of spring. And with all the gourmet food ready, how can there not be good wine? Here’s the Silk Road Bar presenting you with the sakura liqueur, blended with grapefruit juice and cranberry juice. And above all, one must not miss the Zijin Pavilion Restaurant. As the best spot to appreciate sakura blossoms in Chang Fu Gong, the Zijin Pavilion is located right in the middle of the garden, with the surrounding bamboo fences creating both a tranquil atmosphere and a sense of privacy. The chef team, also in charge by Mr. Maeda, customizes the special Sakura Teppanyaki, matching sakura petals with the fresh ingredients transported from Japan. There will also be a professional band playing elegant music for your meals. If sakura blossoms are the most anticipated scenery of spring, then Hotel New Otani Chang Fu Gong must be the best go-to place of this season. From the most glorious yaezakura, truly authentic Japanese cuisine, to the sweetest Japanese-style service and the most immersive flower outing experience of Beijing, Chang Fu Gong is ready to make this spring really unforgettable for you. Located in proximity to the Beijing CBD and embassy district, Chang Fu Gong is a five-star hotel known for its scrupulous Japanese management style. The name of the hotel takes inspiration from the Great Wall of China and Mt. Fuji of Japan, and together with a gesture of the long-lasting friendship between the two countries. The hotel serves some of the finest selection of food in Beijing, from Chinese, Japanese to Western style, to provide a great variety for all occasions. The Banquet Hall, conference halls, business center, and fitness center are also available in the hotel to cater to customer needs. The hotel boasts professional Japanese-style service and has been the favorite of hundreds of celebrity politicians, especially Japanese Prime Ministers who visit Beijing. Chang Fu Gong has 460 deluxe rooms and suites and is a perfect place to stay and spend time, either for travel or for business. Contact hotel for pricing at 176 1093 8982 / 5877 5530, 5877 5531 or email Brittany Xu at xucaibei@cfgbj.com.